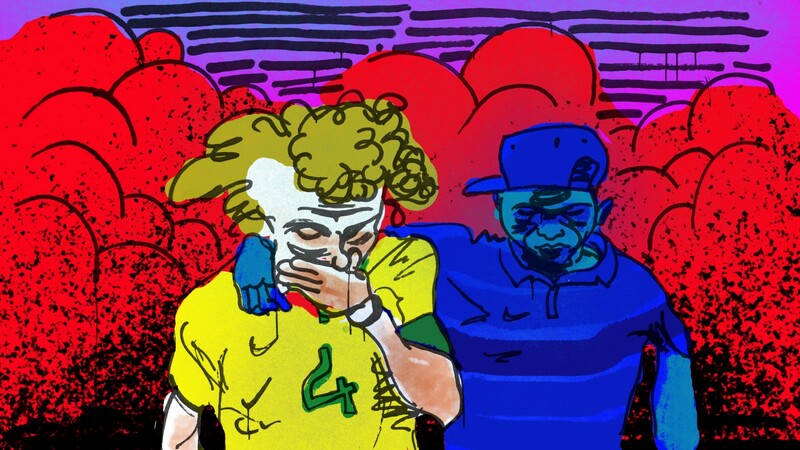 The crushing World Cup blowout signaled the start of a dark period for Brazilian soccer. What can the country learn from its storied past? Will Brazil ever live down that game against Germany? Probably not, and that might be a good thing if the nation can manage to learn from it. Unfortunately, things haven’t improved since then. At the one-year anniversary of that game, the FBI had started a comprehensive investigation of corruption into FIFA that includes Brazil’s role as a host country, which means the chances of the last World Cup fading from the world’s mind are not likely. The team’s performance at this year’s Copa America did not help. It seems clear that Brazil’s problems go way beyond a single defeat. All things considered, the past 365 days might comprise the darkest period in the country’s otherwise storied soccer history. If there is one consolation in all of this, it’s that the Brazilian team has in its past a defeat that was in many ways worse than the one suffered in the 2014 World Cup, and it somehow managed to come back from that experience. One of Brazil’s greatest intellectuals and foremost anthropologists, Roberto da Matta, called this old loss “perhaps the biggest tragedy in Brazilian contemporary history.” He spoke, of course, of the Maracanazo of 1950. And though circumstances were much different, the idea of redemption is too appealing — especially at this critical moment — to ignore. [I]n the late 1940s, Europe was just recovering after a half decade of war. It was understandable that, faced with a conflict of catastrophic proportions, FIFA decided to cancel two World Cups. By the end of the 40s, it was time to get things back to normal. Since no European country was in condition to host such a major sporting event, it was decided that the tournament would take place in South America, where soccer had flourished. Brazil was the only country to volunteer as host. It was a chance for the country to showcase itself after centuries of being seen only as a colony, an extension of Portugal. Football was a gentlemen’s sport, introduced to Brazil by the same Englishmen who constructed roads, train tracks, and telephone lines. To successfully host and win a World Cup would mean international recognition by the greatest, wealthiest nations. To mark the great event, the government spared no cost. They built what they hoped would be not only a stadium, but also a statement. The Maracanã would be a temple for a religion that was not yet formed. The new stadium would host the final game of the World Cup, and ideally serve as stage for the home team’s crowning glory. The plan seemed to be working perfectly. Brazil succeeded not only in avoiding any embarrassing logistical mishaps in hosting the competition, but the team also managed to play spectacularly great football. Their adversary in the final would be Uruguay, which had won the very first World Cup in 1930 at home. However, as far as anyone in the host nation was concerned, Brazil’s opponent was a mere detail. Though both teams would enter the field undefeated, it was clear the home team was superior. According to the points system adopted for that World Cup, Brazil needed only to tie with Uruguay to win the tournament. The actual match was such a foregone conclusion that playing it seemed like a technicality. While taking the field, the home squad was welcomed with a 21 cannon salute, fireworks, balloons and the release of five thousand pigeons into the afternoon sky. The mayor welcomed the players as champions, his voice echoing around the Maracanã. Above the stadium, an airplane dropped confetti on the crowd. Some 200,000 people were packed into the stands to witness the moment — about 10% of Rio’s population at the time. Today, only 73,000 people are permitted into the stadium for safety reasons. 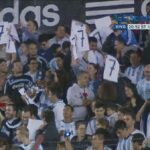 The sight so overwhelmed the Uruguayans that one of their players, Julio Pérez, famously wet his pants. 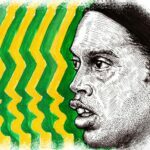 One of soccer’s maxims holds that the best defense is to attack — something Brazil, in its advantageous position, failed to do. Having scored the first goal right after halftime, the home team felt comfortable sitting back in their own half. It was up to the Uruguayans, with nothing to lose, to advance. They held nothing back. It paid off for them, first with a goal from Juan Alberto Schiaffino and then with an historic goal by Alcides Ghiggia, who took advantage of a lapse in Brazil’s defense and decided to give another try to a play he had attempted earlier without success. He went deep into the right flank, where he could send the ball across to one of his teammates. But seeing no Brazilian players to stop him, he went for the goal himself instead of attempting a pass. The ball angled towards goalkeeper Moacyr Barbosa’s near post, past his outstretched arms to stuff the net. It was by no means a great play, but it did the job. Brazil was left with 10 minutes of play to try and recover, but couldn’t. The referee blew his whistle and the game was over. Thus ended all Brazil’s hopes as 200,000 voices went silent. Though the Cup was diligently recorded, the bulk of the archives was destroyed by fire not once, but twice. Only fifteen minutes of the entire tournament survived in film, including the crucial moments of that final game. The images are blurry, and the viewer has to try hard to make sense of the play. One of the scenes shows the ball resting in the net while, in the distance, Ghiggia runs to celebrate his goal. In another, goalkeeper Barbosa summons up all his courage simply to get up. Decades later, Barbosa still suffers from the defeat. “In Brazil, the worst jail sentence you can get for a crime is 30 years, but I’ve been paying for this goal for over 44,” he says. In 1994, when Brazil played Uruguay in the Maracanã for the qualifiers of that year’s World Cup, he went to wish the players good luck. To his surprise, he was not allowed in the changing room. Barbosa was deemed a bad omen. Brazil went on to win that World Cup. The same degree of public scorn has not happened to the players from the 2014 team, or at least not yet. In 2014 Brazil had a decent, but by no means great, team that had to sweat in order to reach even the semi-finals. They put their trust into one very good player, Neymar, and once he was taken out of the tournament with an injury, there wasn’t much left. Germany, on the other hand, had groomed their team to near perfection, so much that they would go on to win the title over Argentina. The game in 1950 was a completely unexpected victory by the Uruguayans that wasn’t decided until the final whistle sounded. Conversely, 2014 was a massacre from start to finish, one that many saw coming in advance. The 1950 loss signalled crushed hopes. In 2014, there was a feeling of hopelessness. After their win in 1950, the Uruguayans waited for hours until they felt it would be safe to leave the stadium for their hotel — a measure of precaution against angry crowds. They needn’t have worried; no one was angry with them. People felt that the game had been more a Brazilian defeat than a Uruguayan victory. That night, the new world champions went out drinking, but the palpable sadness in the air made it impossible for them to celebrate. Miles away from the Maracanã, in the small town of Três Corações, a boy saw his devastated father listening to that July 16, 1950 defeat on the radio. “Don’t worry, Dad,” he said, “I’ll win a World Cup for you.” What a bold little boy. He grew up to become Pelé, the greatest player in the history of the sport, and went on to win the championship three times; 1958, 1962 and 1970. The legacy of his beautiful style of play would also be present in the victories of 1994 and 2002. Over six decades later, however, it seems the Brazilians have come full circle. The team and the nation have experienced the crushing defeat, although under different circumstances. The question is whether there will be redemption. Sixty-five years after the defeat to Uruguay and one year after the defeat to Germany, things look as dark as they’ve ever been. Livia Lakomy is a journalist and writer from Brazil, where she learned to appreciate the “beautiful game” of football/soccer almost as if by osmosis. She currently lives in New York, where she is earning an MFA in Creative Nonfiction at Columbia University.